Who Is Considered The Father Of Table Top War Gaming? A programming language doesn’t need a catchy name, but it certainly doesn’t hurt. In 1991 when Guido van Rossum was working on what would become the Python language, he was in search of a good name. His inspiration? Old scripts from Monty Python’s Flying Circus. He liked the sketch comedy of the legendary British comedy troupe and the name, Python, was short and memorable. 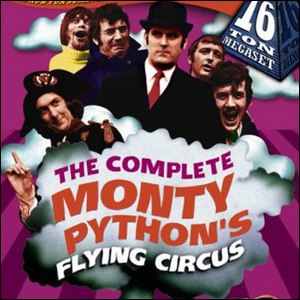 As a result of Rossum’s naming choice, both the Python documentation and educational materials are littered with Monty Python references. The official documentation features obscure references to the group’s work and even the traditional “foo” and “bar” metasyntactic variables normally used in programming literature are replaced with “spam” and “eggs” in Python tutorials.